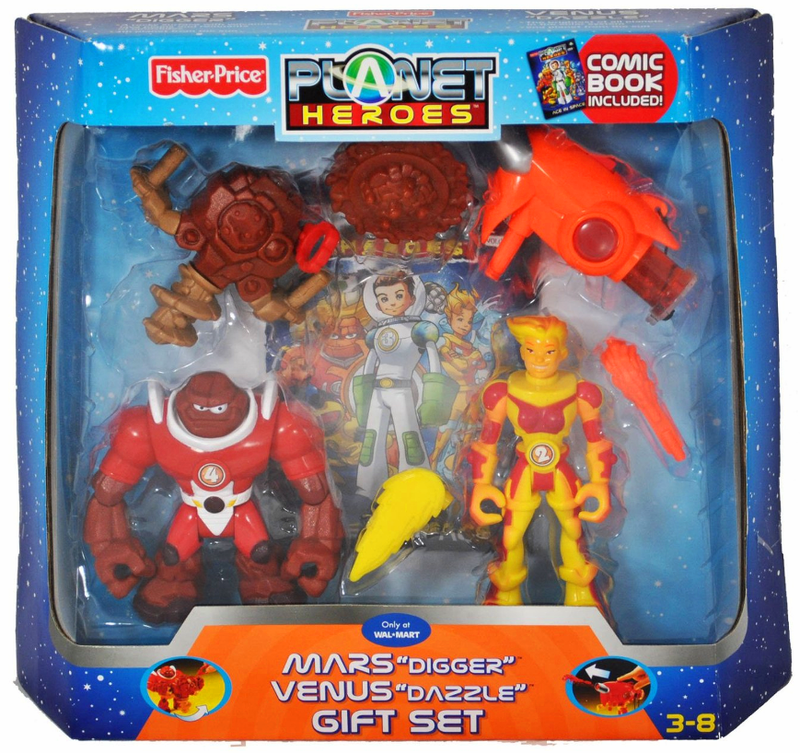 She's Fantastic: Planet Heroes VENUS DAZZLE! This isn't your Daddy's Fisher-Price. When I was a kid, all I had was the old peg-style Little People and the "everyday hero" Adventure People. They were fun and all, but they certainly didn't spark the wild imagination that the "big kid" action figures of the time had. Somewhere along the line though, Fisher-Price has really made a huge leap forward in the "cool" department. 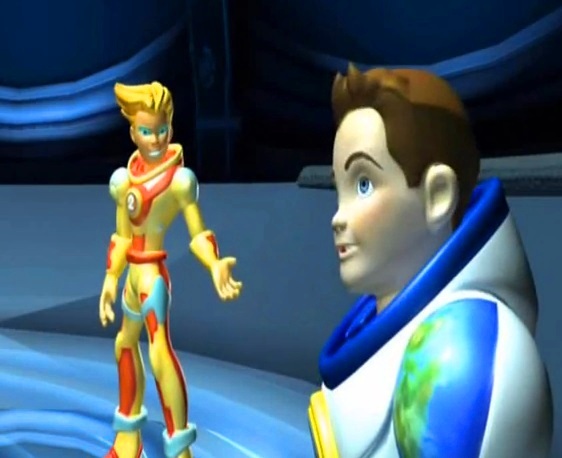 These Planet Heroes figures from 2006 are a prime example of that. The heroes of the team each represented a planet (or heavenly body: ie, sun, moon, stars). Simple, Educational and Entertaining. 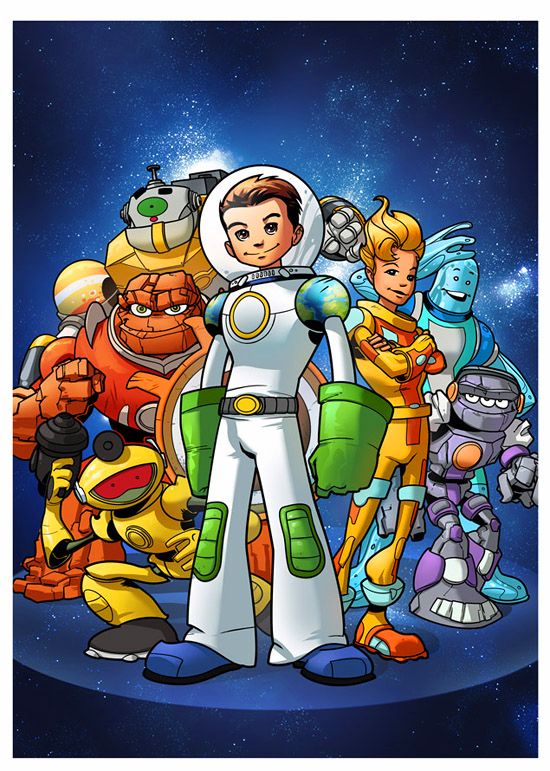 The planetary figures all had a design motif with colors, powers, and even physical size to correspond to their namesake planet. 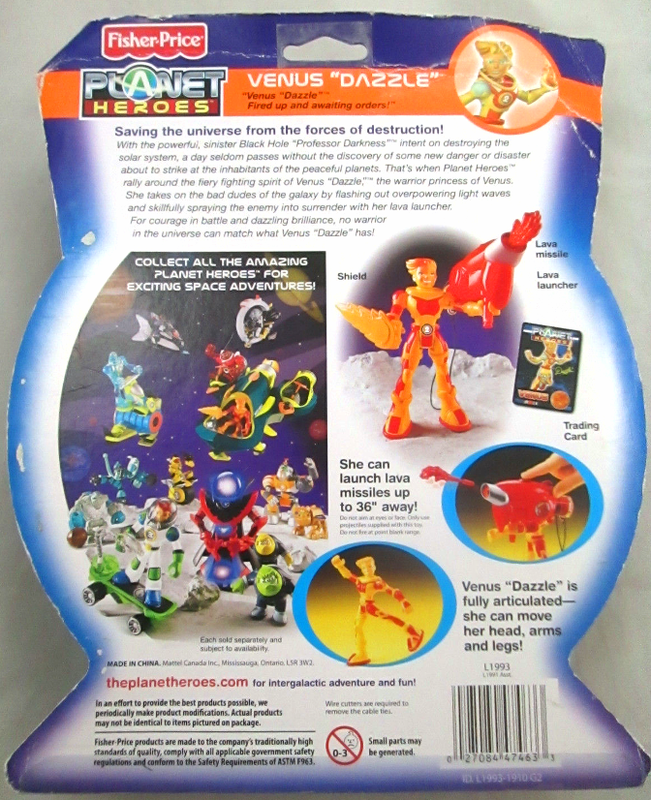 Venus Dazzle is the only female in the toyline. Her design and weaponry is lava and fire themed which gives her one of the coolest looks in my opinion. She was released in both a regular version as well as a Metallic Squad version wherein her red parts are painted in metallic red. Let's check out Venus in detail below! Also, all the main planetary characters are numbered with their numerical placement from the Sun. These figures are super-durable for heavy play and feature 5 points of articulation: Head, Arms and Legs. 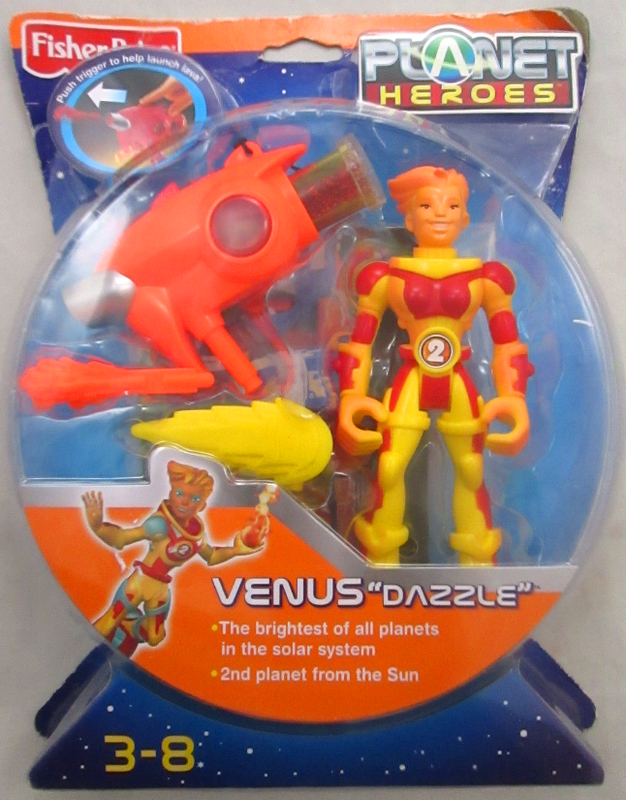 Venus comes with a large orange "launcher" weapon. Behind her head you can see a plastic tube full of glittery fluid that slides into the back of the gun. For some reason I didn't take good pictures of her accessories. That yellow thing in the projectile tube might belong to another character entirely. It is supposed to be an goopy-looking orange "lava missile" (which you can see in the pics of the Metallic Squad version below). 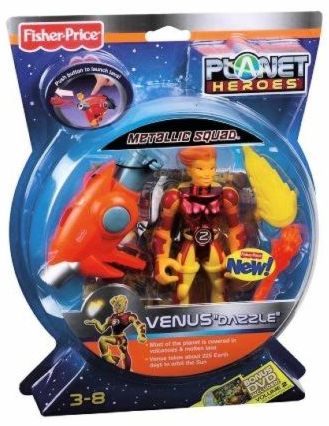 Venus also Came in a two-pack with Mars Digger. Here are some pics of the Metallic Squad Venus Dazzle. Here are some stills of Venus from the cartoon. There were several DVDs and comic books released with the Deluxe action figures. This is a really cool line that went completely unnoticed by almost all collectors . I posted a couple of the other characters years ago and nobody had ever seen or heard of them. I love that you and I are working to keep these toys from fading away :) When this line was still in stores I was desperately hunting down Venus but never had any luck. 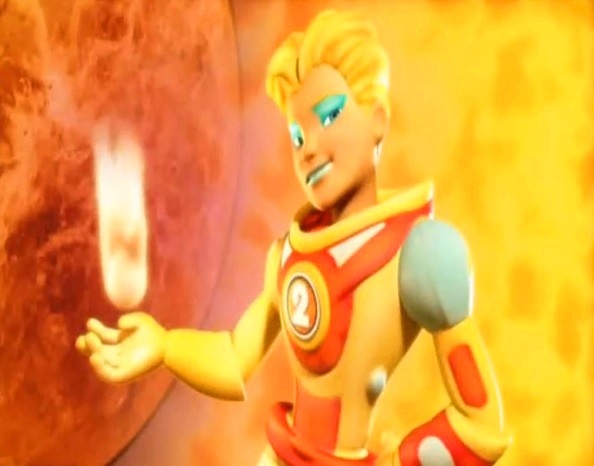 I'm such a science nerd at heart so Planet Heroes were right up my alley. Plus the character designs are awesome. I really hope Fisher-Price reintroduces them in the Imaginext line like they're doing with the Rescue Heroes.